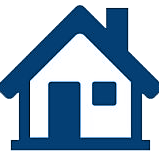 We cover homeowners throughout the Des Moines Metro. From the brick homes in Beverdale to the unique homes south of grand all the way out to the new developments in Waukee. If you are in the metro, we have you covered. Homeowners Insurance provides coverage for your home and other buildings on your property as well as the contents: furniture, clothing, electronics, appliances, and personal belongings. It also covers additional living expenses if you have to move out during certain repairs and liability coverage if someone is accidentally injured or their property is damaged. Replacement Cost Contents: Eliminates depreciation on your personal belongings. Additional Replacement Cost Protection: In the event of a covered total loss, this additional protection will provide enough money to rebuild your home. Water Back-Up: Provides coverage for damage caused by water entering your home through sewers or drains. Flood: Provides protection in the event your home suffers from rising flood waters. Identity Theft Protection: Provides access to a consumer fraud specialist who can help you reclaim your stolen identity, and reimburse you for the expenses associated with clearing your name and financial record. Scheduled Personal Property: This is additional coverage for people who own valuable possessions and need more coverage than a basic policy. (Items such as: jewelry, coins, furs, computers, guns, cameras, musical instruments, china, crystal, etc…) Scheduled property does not have a deductible. *It must be noted that these are a mere sample of property and perils not covered. A complete review of your policy is the only way to determine what property is covered and what perils are insured against. Home Features and Characteristics — Your home's age, type of structure, wiring, age and type of roof, garage, etc., can affect your homeowners insurance premium. Older homes can often cost more to insure, and those costs can differ depending on whether your home is brick, frame, stone or has synthetic siding. Protective Devices — Burglar alarm systems, smoke detectors, fire extinguishers, sprinkler systems and dead bolt locks can lower your homeowners insurance premium. Personal Factors — What you do can affect your homeowners insurance premium, too. A good credit history also can lower what you pay for home insurance. With a complete home inventory, your insurance company can verify property easier, which makes settling your claim easier. Remember to list big-ticket items like jewelry, artwork and collectibles. Put all your photos, lists and videotape documentation in a safe deposit box.